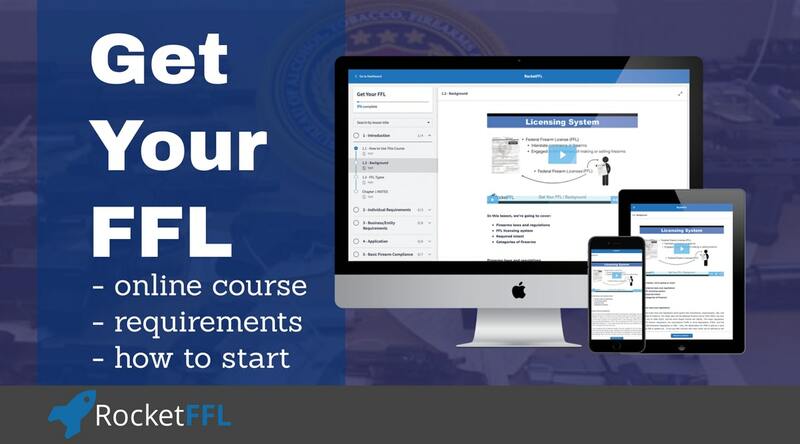 It is time to get your FFL. I’ve heard many people say that it isn’t the right time to get an FFL because we are in a firearm sales slump. They’re wrong! Yes, some manufacturers are having a hard time with sales. This is due to two main reasons. 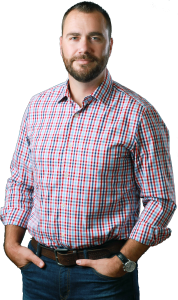 Manufacturers typically don’t sell to consumers – they sell to distributors and retailers. Many of these manufacturers have flooded the market with firearms due to increased production from past record yearly sales. Therefore, the sales from the manufacturers are down because distributors and dealers already have a lot of inventory. Dealers, however, are experiencing record sales. Also, some manufacturers have seen significant drops in sales because better products are available. 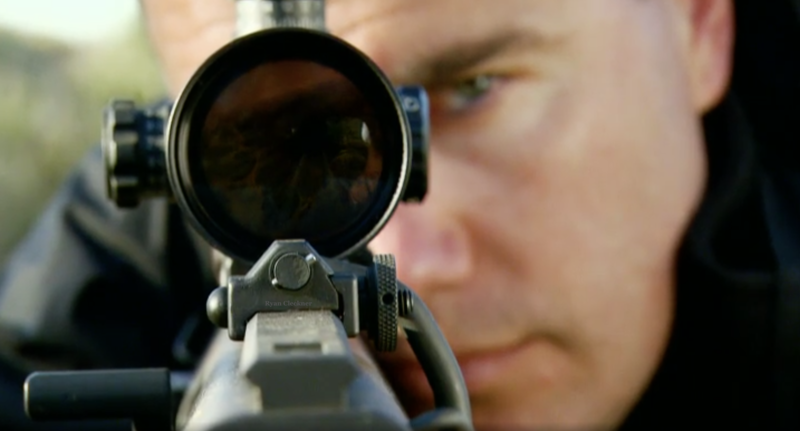 The firearms industry has seen a serious boom in new manufacturers and products. Therefore, products that used to sell well are being replaced by newer, better, and less expensive offerings. Just because one manufacturer is suffering, doesn’t mean that 10 new manufacturers that are replacing them aren’t doing well. Some states have concealed carry licenses/permits that allow a purchaser to skip the background check for a purchase because one was already done for their permit/license. The federal system is the National Instant Criminal Check System (NICS). A good indicator of firearm sales is to see how many NICS checks have been processed. In rare circumstances, some states use the NICS system for permit renewals that aren’t tied to actual firearms sales. 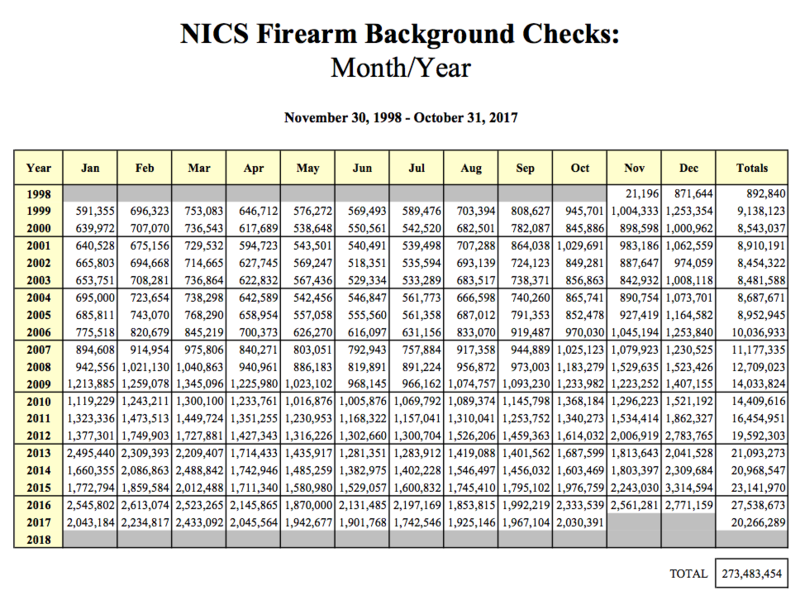 Despite these potential inconsistencies in NICS numbers, the total number of background checks is still a reliable source for seeing trends in the industry. 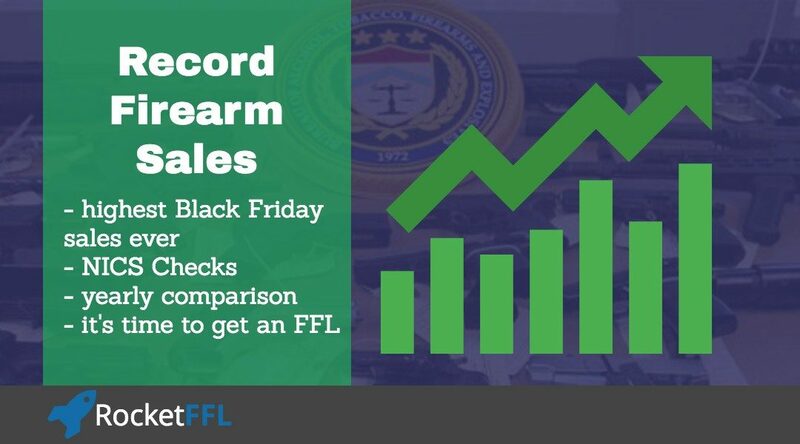 Despite some folks saying that there’s a “Trump Slump” for firearm sales, we just broke a record for firearms sales this past Black Friday. 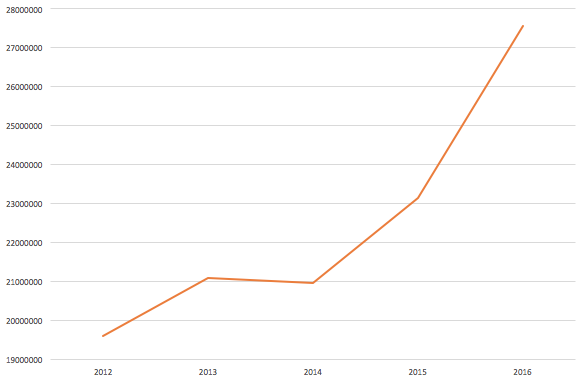 Previously, the record for Black Friday NICS checks was 185,713 from 2016. That number barely broke the previous record from the year before. Black Friday 2017 is now the highest number ever in recorded history with 203,806 NICS checks in a single day! NICS is open for 17 hours…that means that more than 3 NICS checks were run every second! 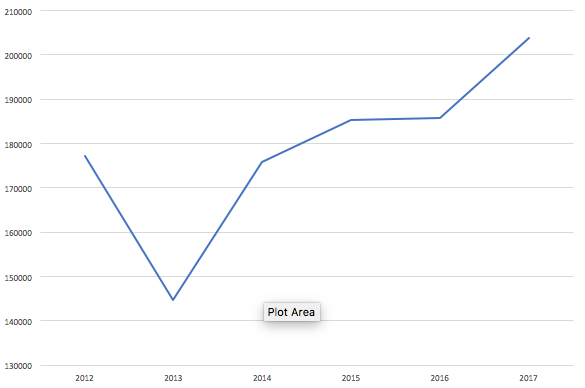 Bases on previous year’s progress, our year-to-date NICS checks for 2017 are on track for a total in the high 26 million range for the year. If we have any more record days this year, we might break the yearly record of 27 million (another year those same folks incorrectly say is a “down” year for our industry). Want more proof that sales haven’t been decreasing since the 2012 boom?